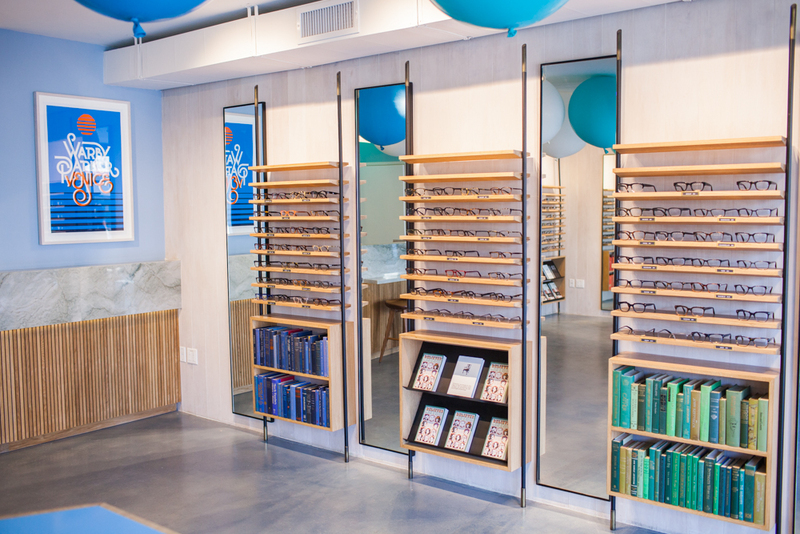 After their inception in 2010, Warby Parker has made it clear that they’re here for good. 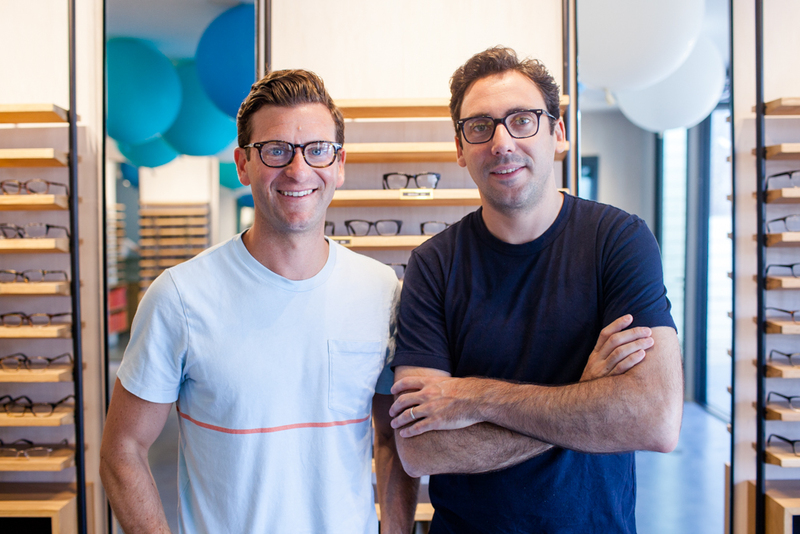 From their early days, founders Dave Gilboa, Neil Blumenthal, Jeffrey Raider, and Andrew Hunt have always done things a little differently, raging quietly against the eyewear behemoths to provide stylish, affordable eyewear that their college selves could afford. 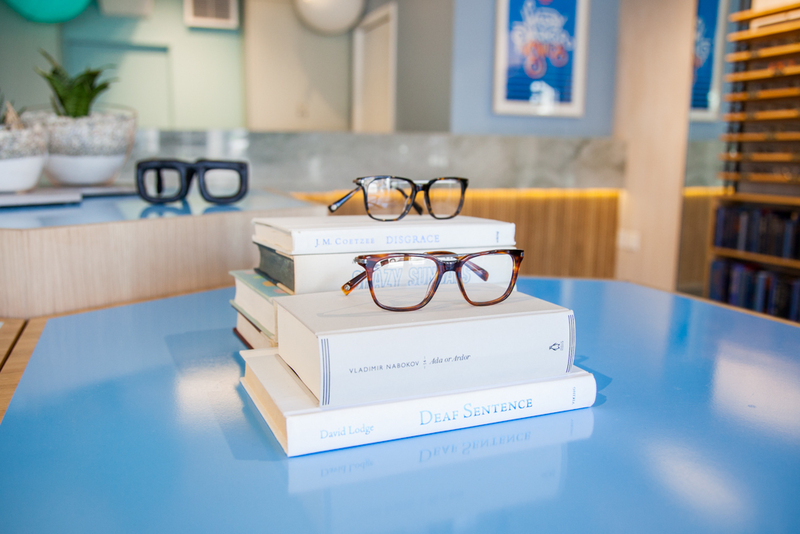 With minimal marketing efforts and a concentration on customer experience, news of their glasses spread by word of mouth like wildfire when they started out – glasses for only $95? When designer glasses of the same caliber cost an upwards of $300-$700? Tack that on top of the fact that for each pair sold, another is donated through an hands-on non-profit program that dually trains men and women in developing areas how to give basic eye exams and sell glasses for only a few dollars each, aiding their communities’ collective vision. 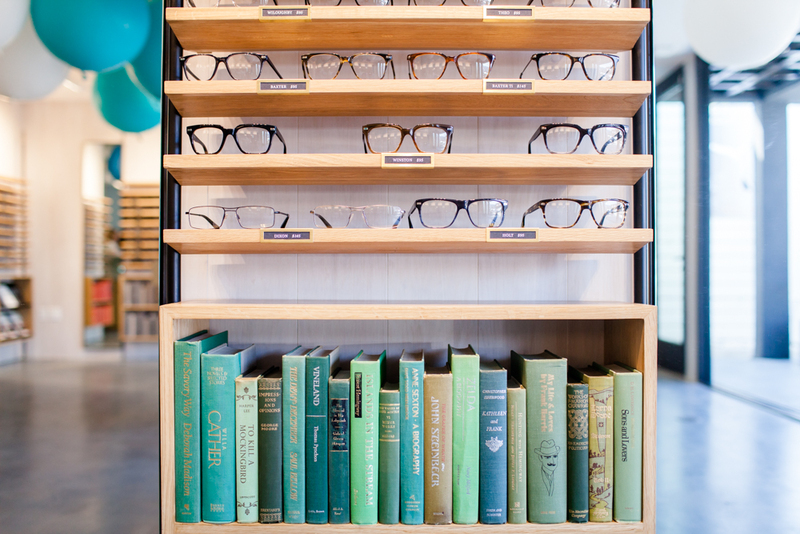 Today, over a million pairs have been distributed and Warby Parker is a certified B corporation that is carbon-neutral. “It’s just been important to us, and when something is important to you, you find a way to make it work financially,” says Neil. 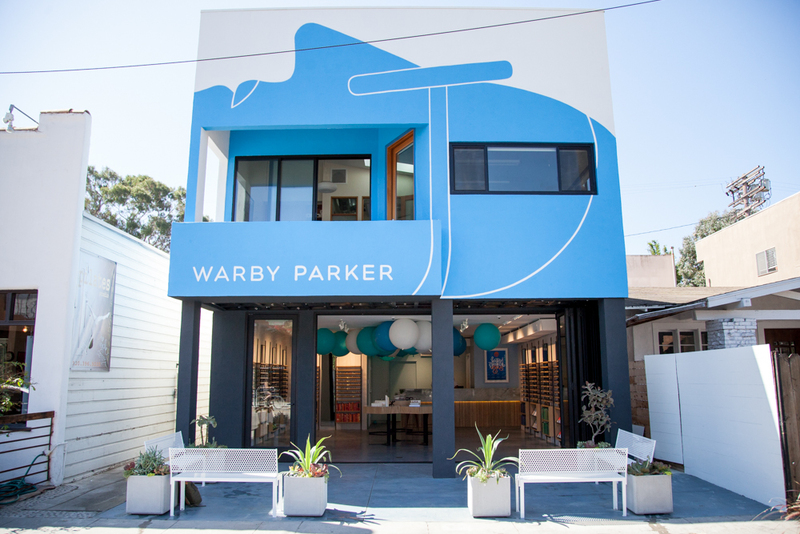 Now, with flagships in New York, Boston, and Dallas, Warby Parker just opened the doors to their SoCal flagship in Venice, after a successful run of pop-ups in LA. “Venice culture is so interesting – when we thought about opening a store in LA this is what we immediately gravitated towards,” says Dave. “We said, ‘What’s the ideal location? Right across the street form Gjelina.’ [laughs]” The store design is quite disruptive in terms of your usual eyewear store – according to Neil, they first asked themselves prior to designing it, “How can [we] reinvent the way [we] buy glasses?” They answered that question with open shelving, huge open doors, a lack of cash registers, a social seating area for friends with second opinions on your new glasses, books for sale, and a painting by Geoff McFetridge donning the face of the shop. From their Artists-in-Residence musical retreat project with The Standard to their Beck collaboration, the brand clearly has a focused eye on creativity. 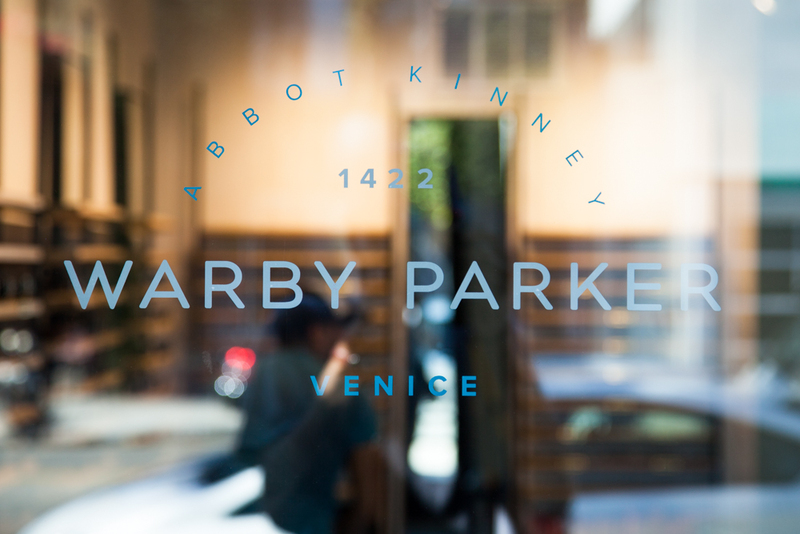 The name “Warby Parker” itself was taken from merging two names from unpublished Jack Kerouac manuscripts, a writer whose rejection of the societal status quos of the ’50s seems right in line with Warby Parker’s rebellious spirit. “We started the company to solve problems but create an organization that really has a positive impact and is doing something good in the world,” says Dave. “The bigger we become as a company, the bigger our direct impact is, the more customers we make happy, the bigger impact we have through our Give-A-Pair program and through our other social efforts. Hopefully, we can inspire a lot of other companies and entrepreneurs to think along the same lines [and] can create this halo effect that [shows that] this is how organizations in general and for-profit business can and should operate.” And more power to them. 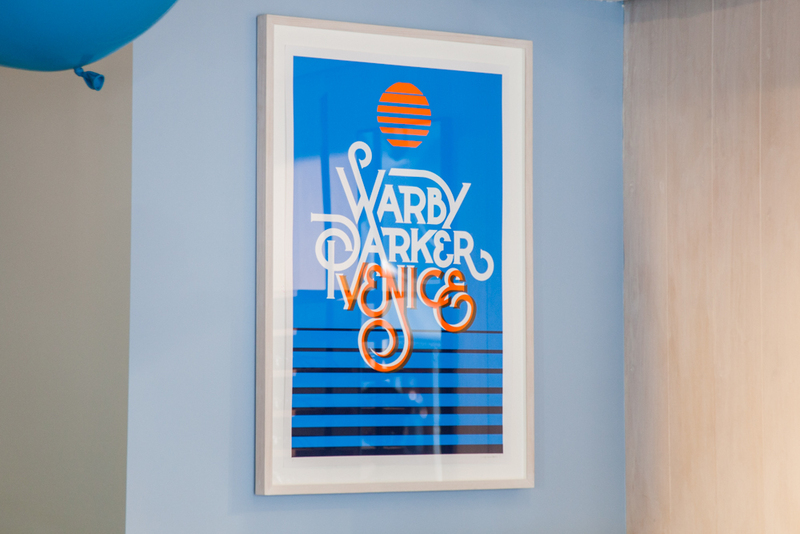 Visit WarbyParker.com to check out some new frames of your own and follow them on Instagram @WarbyParker. Words by Alina Nguyen.